Build template–based web sites without the hassle of writing code! 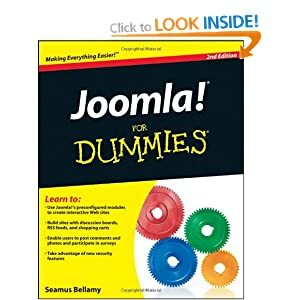 After using Joomla for over 2 years, I now feel it is time to start to share my experiences of the best joomla extensions available. The list below highlights the extensions that I install on to all my Joomla site, best of all, most of the extensions are free! The best joomla back system around, backup and protect your site, work local then transfer to remote. Great extension, gain full control of your articles contruction, create multiple categories, social links, photo upload system included. Brilliant forms development and processing system, lot of options including paypal payment system integration. The best way to manage your modules, specify which pages you modules are displayed on, by page, category, component. Help security on your site, change super admin user id, clean tmp folder, correct permissions, update database table prefix. Install then login without the worry of finding Joomla auto-logging you out again. Easily create html or xml site maps, google news site maps, auto-submit and update to google, help in crease your page submissions to the major search engines. Minify code, compress your site scripts, gz on the server, speed up your site as a whole. Create your own blog, multiple setup options, categories, social sharing, feed burner integration and modules. Quick and easy to integrate your google analytics code in to your site code, no scripting required. Full document upload management and download system, monitor documents and check your document download numbers, restrict documents to registered users as well. Text editor with many options for formatting articles, like Microsoft Word wordpressing in Joomla. Easy to install, great to help your site sharing capabilities. To me, the best free slideshow extension available, multiple options, easy to install and looks great on the site. (watchout! Hidden url in the code, easy to remove).